The Seletti Wears Toiletpaper collection is enriched by a series of round and rectangular area rugs. A very strong glance to highlight the importance of this new advnture. The twelve images selected by Maurizio Cattelan and Pierpaolo Ferrari – Eyes, Toad, Parrot, BMW, Fingers, Insects, Sausages, Theet, Phones, Roses, Two of Spades, Legs – are printed on the fabric using inkjet machinery that is specially designed for larger formats; the final step is a special heat treatment to ensure the print’s resistance and the vividness of the colors. 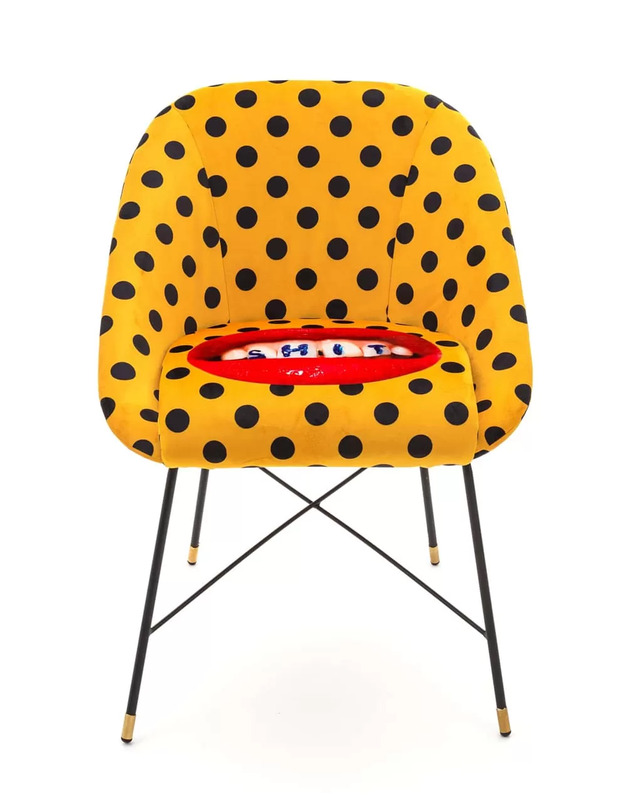 This new addition to the Seletti Wears Toiletpaper catalog is confirmation of the brand’s attention for the most avant-garde creative projects and a will to integrate them with objects in everyday use. The Seletti Wears Toiletpaper area rugs gives the possibility to the customers to furnish their dwells with actual works of art created by Maurizio Cattelan and Pierpaolo Ferrari.